As I'm writing this, they are hanging the very last bag of the very last chemo treatment for my husband. We've got only 26 hours to go before he can ring that bell and we can hopefully put this whole nightmare far behind us. As you can imagine, I cannot wait. Of course it's with a tired, limping, tread that we walk across that finish line. The last few months have been a blur of emotional and physical exhaustion and I have a feeling we both are going to need some time to recover. Yes... I'm seeing a cruise in my near future. 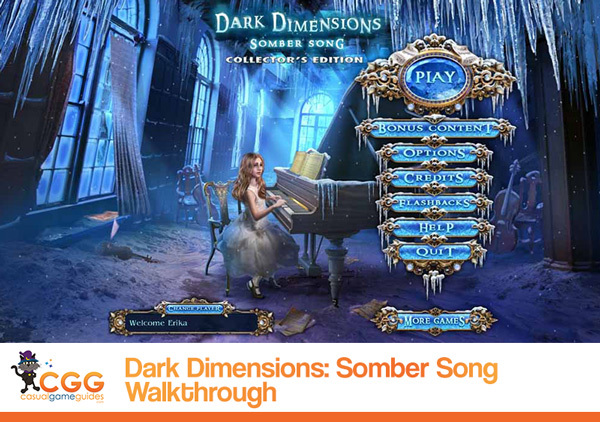 But until then, it's back to business as usual and today's business is to let you all know that we've just completed a Dark Dimensions: Somber Song Walkthrough. 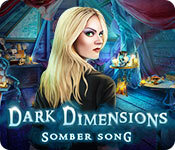 Our Dark Dimensions: Somber Song Walkthrough has everything you've come to expect from our walkthroughs, including tons of custom marked screnshots, detailed, step-by-step instructions, and helpful puzzle solutions to help you make your way to the end credits of this highly entertaining hidden object adventure game. So if you come across an area of the game where you have no clue what to do next... don't panic... we're always here for you, so just pop on over and check out the Dark Dimensions Walkthrough to see what you need to do. Enjoy everyone!